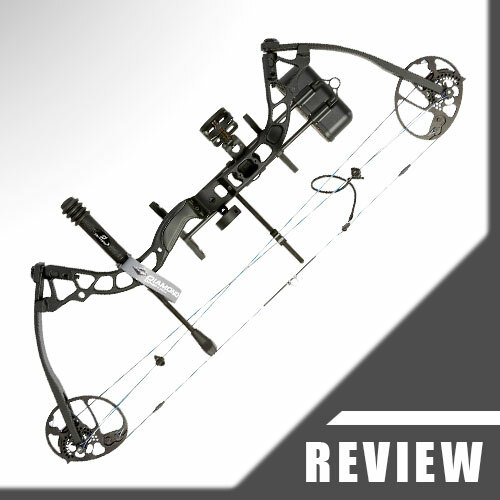 6 Is The Infinite Edge Pro Compound Bow Suitable For Hunting? 7 Can You Bowfish With The Infinite Edge Pro Compound Bow? 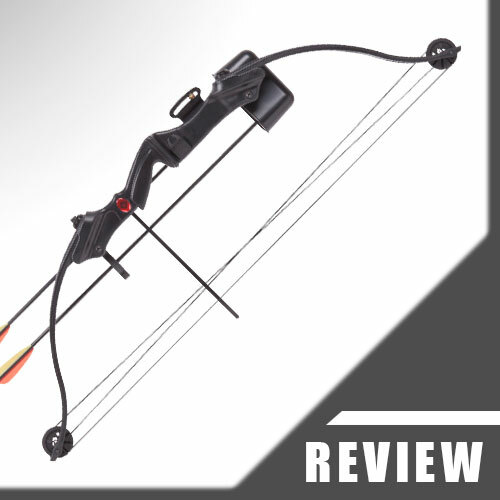 In the following Diamond Archery Infinite Edge Pro Compound Bow review we will look at one of the best selling models on the market. They say that it can be used by an 8 year old beginner as well as by an 40 year old seasoned bowhunter and it would fit all in-between ages. Really? Given the good price for one with all the functionality the Infinite Edge Pro has, I was pretty sceptical if the promises of the manufacturer were true at all. But believe it or not, after shooting it for some time I really loved it. Wanna know why? Just read on. You won’t believe the versatility of this particular model. First of all I want to mention that this one is made 100% in the USA, which I think is a big advantage over models that are produced or assembled in China or other cheap labor countries. So if you are a bit on the patriotic side like myself, this fact should be a big plus for you and supporting our local industry won’t hurt. Now back to the review. 12" - 30" 25" - 30" 26" - 30" 19" - 30"
The Infinite Edge Pro Package contains a lot of usefull items that will make shooting your Infinite Edge Pro a great experience. The 3-Pin Tundra Sight together with the Tube Peep Sight make aiming a breeze. (the peep sight has a mounting hole for a sight light in case you want to add one at a later time but you have to purchase it seperately). A sight light makes sense if you are planning to hunt a lot at dusk. The fiber optic lines of the Tundra Sight are a bit short so you might find it a bit harder to use in low-light situations. But for starting out, it is really good enough. Five pins would have been better though, in my opinion. Or maybe a tool-less one with longer fiber optic lines. But that is something you always can add when tuning your bow after you have more experience with it. The bowsight needs to be sighted in, by the way. All you have to do is to ‘follow the arrows’. This means if you shoot too low you need to adjust the sight accordingly. If you want to learn more about sighting in a bow, feel free to read my guide about it here => How To Sight In A Compound Bow. The peep sight comes not installed with it, which makes sense, as a peep needs to be adjusted to the individual shooter. If you have the experience you can serve it in on your own. But if you are a beginner I would advise you to go to a professional shop so they can set it up for you. The peep sight needs to be served in and adjusted to the person shooting the Infinite Edge Pro for best results, that’s why it will never be tied in from the get-go. Some customers were complaining about the loose peep, which clearly shows that they don’t know much about bows like this. 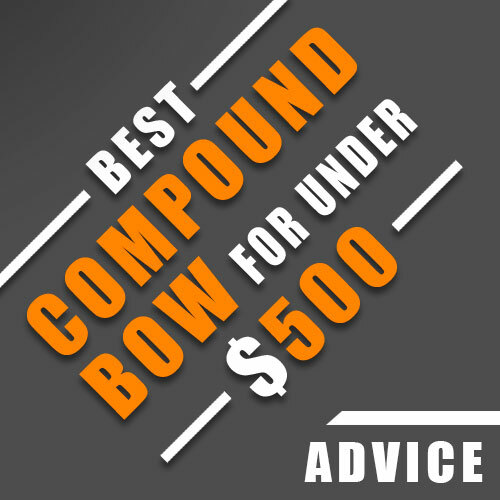 If you want to learn more about them, please read my beginner’s guide here => Beginner’s Guide To Compound Bows. The 5″ ultra-lite Octane Stabilizer is a good add-on that takes out vibrations while shooting, making the whole draw cycle more stable and accurate. Apart from that it gives more balance to this one overall, which adds to its already quite comfortable draw cycle. Additionally you get The Hostage XL Arrow Rest, which has a simple design but is durable and has no mechanical parts. It surely is not top notch but again, for starting out it is an adequate arrow rest. If you want to, you can replace it with higher quality alternatives later. I would suggest you get a Whisker Biscuit (brush styled rest) or a drop-away rest. Those are proven to work well. The DeadLock Lite Octane quiver with 5 arrows capacity (bow-mounted) is a good and practical add-on. With its quick-detach sytem it is easy to use, even for beginners. Please note that there are no arrows included in this package, which again, makes sense. Arrows need to fit the model’s poundage, your draw length and the purpose (hunting, competition). They need to be cut to fit your draw length and style of shooting. That’s why it is better to get them in a professional shop, if you are just starting out. If you want to learn more about arrows, I have an article here => Choosing The Right Arrows For A Compound Bow. A BCY String Loop (D-Loop) and a Comfort Wrist Sling are included in the package as well. The BCY Loop is attached to the area where the nock is on the bowstring. It is used to pull / hold the string via a release aid. With such a mechanical release you will have a quicker release and therefore less torque put on the string from your fingers. Nearly every archer uses one (you have to purchase it seperately, though). The wrist sling will secure your model onto your wrist so that it won’t drop down after shooting the arrow. Happened to me twice already, as I forgot mine in the car and was too lazy to fetch it. Paid my laziness with some scratches on the compound. Lesson learned. A real highlight though, is the non-transferable life-time warranty you get from Diamond Archery / Bowtech. How cool is that? Just one warning: do not use arrows with a weight less than five grains per pound of draw weight. Doing so can cause damage to your model (as it can have the same effect as dry-firing) and therefore void warranty. 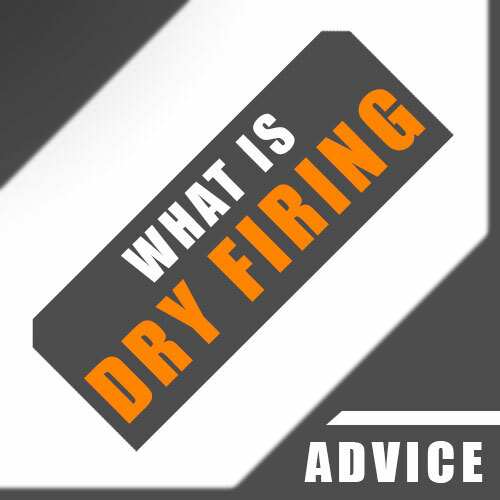 Don’t know much about dry firing? Then read my article about it here => Dry Firing A Compound Bow. The Infinite Edge Pro is pretty silent. The 5″ ultra-lite Octane Stabilizer takes most of the vibrations out of the shooting process – so there are no additional noise dampening accessories like silencers needed. Especially if you want to go hunting this is definitely an advantage. Concerning hand shock: This one shoots without the slightest hint of one – at least for me. The parallel positioning of the solid limbs assure that you won’t feel anything. A friend of mine said he did recognize a bit of a recoil. But it was really hard to feel, so I assume it happened on such a low level that it won’t be felt by everyone. Personal thing, you know. All in all the Infinite Edge Pro is smooth to draw and shoots absolutely accurate. This model weighs 3.2 lbs and is therefore a really light one which is good for a lot of things. For example if you are out hunting it is a lot easier for your overall performance to carry a lighter compound than a heavy one. Heavy bows may have their advantages in target shooting (more stable) but I would always prefer a lighter one. Even for target shooting because I don’t like to switch bows for different purposes. Overall the materials used to produce this model seem to be of a high quality, be it limbs, riser or cams. The axle to axle length (ATA) is 3″, its brace height 7″. You can get it for right or left-handed archers. This model comes with a hand made string by Octane, which is a good standard string. No problems with that one, at least I haven’t experienced any. The cables are made by Octane as well. As Bowtech stands behind Diamond Archery and Octane, they care for a overall high quality concerning their products. It can happen though, that you get a bad string from time to time. Never happened to me, but I read that it has happened in certain archery forums. This one comes with solid limbs which are parallel to each other. As you might know there are a lot of discussions around the internet if split limbs are better than solid limbs, but to be honest, this has more to do with personal preference than the performance of the particular model itself. The black limbs (with a Diamond logo on them) are positioned parallel to eliminate hand-shock. The riser is ultra-light. The reason for this is the lightweight aluminum that is used for production and a lot of cut outs on the riser itself. The grip – made from texturized, durable, hard rubber – was designed to fit big and small hands. It is so universal that I have not met any person yet that said the grip did not fit his hand. The rubber is good for low temperatures, too, and does not feel cold at all at low temperatures. The risk to torque or twist during the draw is minimized by the texture of the rubber, so your hand won’t lose its placement on the grip. bows like this remain strung all the time. So it would be a good idea to get a case that will work for your strung model for transport or storage. Get an arrow tube for travelling, driving to your hunting grounds or shooting range as well. Arrows that roll around in your car while driving are no fun at all. Never ever leave it inside a hot car or in a damp area because extreme temperatures or persistent moisture can warp the limbs and therefeore damage them permanently. Don’t put a compound onto one of its limbs and leave it there. This could warp them as well. Instead hang it onto a bow rack. Wax your string regularly. It does not take that much time but can help in lengthen the life of your string sustainably. Always check your arrows after hitting hard objects. In case they are damaged they could damage your bow or yourself when shooting them again. Always check your model before shooting. Loose parts or damaged parts can hurt yourself badly when not recognized in time. You can choose between three finishes. BlackOps, Mossy Oak Infinity and Pink Blaze. All of them look awesome, so the decision about which one to choose is purely based on taste – and maybe purpose (hunting). I always go for the camo finishes. If you are experienced enough you can adjust this model with a simple folding kit. The bolts are sae 3/16 to 5/64. Otherwise I would recommend a short visit at a professional shop. Especially if you are a beginner it would make sense that someone more experienced takes a look at your model and adjust it to fit you (peep sight and cam timing should be adjusted to the individual archer, for example). The draw cycle of this one is absolutely smooth and I did not recognize the slightest humps before reaching the valley. 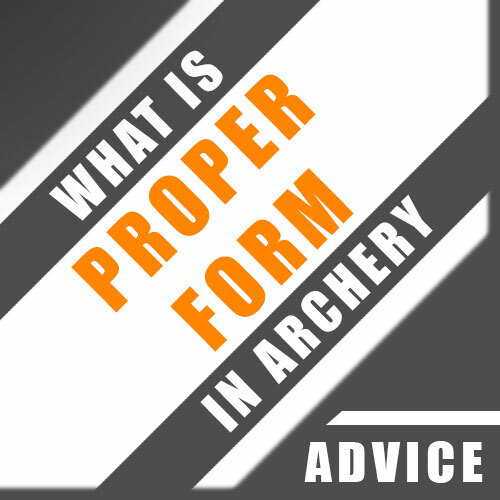 The cams are not aggressive at all and its solid wall (the point where you cannot draw any further) and wide valley make it great for beginners who have to work on proper form (read my article about proper form here => Proper Form For Compound Bow Shooting). A solid wall produces a consistent draw length and – especially as a beginner – you need something concrete and unchanging to keep proper form while shooting. It won’t hurt the seasoned guys as well, because the more consistency you have within your draw-cycle, the more accurate you will shoot. The let-off is at 80% which is pretty standard for a model like this. All these properties make the Infinite Edge Pro a very forgiving little shooter which is good for starters and their motivation. It is just no fun at all to deal with an unforgiving model when starting out. As you have to concentrate on so many things you don’t need to make it extra difficult for you at the beginning of your journey. The draw length can be adjusted from 13″ to 31″ which is really an impressive range. The adjustment can be done manually but a press (device to get the tension out of this one to be able to alter draw length, fix cables or strings or to serve the peep sight in on it with high draw weights) would make it a lot easier especially if you want to set it to a really short draw length, as some of the bolts are under the limb and therefore are hard to get to with the cables under tension. So in case you have not that much experience, please go to a professional shop. It’s not worth it to damage anything. When you are there tell them to look at the timing of the cam system too. This probably needs to be adjusted for you as well. But that is nothing dramatic. Every model needs to be adjusted to its owner to achieve best results while shooting as we all are different. If your draw length is longer than 31″, this one is not for you. 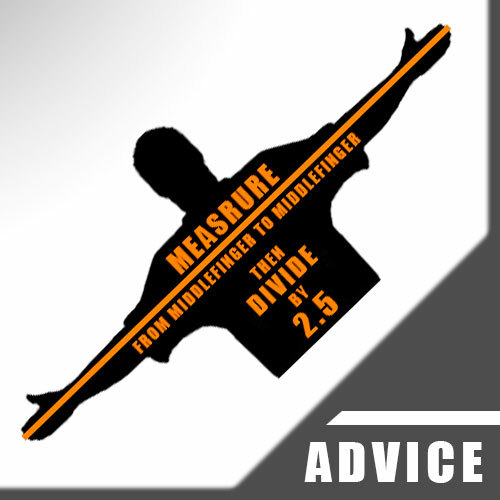 If you want to know how to measure it, please read my guide about it here => How To Determine Your Draw Length. The poundage can be adjusted easily by lenghtening the limb bolts. There are markings on the modules so everyone shooting this one knows his settings which is good if you are sharing it with others. Adjusting it back and forth really is a breeze with this option. 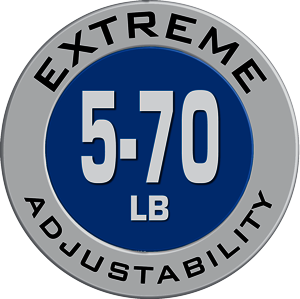 You can set the draw weight between 5 and 70 lbs. And that is just awesome because nearly everybody could shoot it. Children, teens, adults. No problem. You also might want to check out the Bear Archery Cruzer, as it has a similar wide adjustability. The manufacturer recommends the Infinite Edge Pro to young boys, 10 – 14 years of age. But i know a guy who adjusted it so that his 8 year old daughter was able to shoot it as well. On the other hand there are lots of seasoned archers who use it for bowhunting. Let’s be honest here. With 70 lbs and 310 fps there is not much game that you couldn’t hunt for – if there is one at all in the USA. I recommend you get a release aid for shooting, as bows like this should be shot with those in general. This takes your fingers, that might twist the string, out of the shooting process, which is a good thing, as twisting might affect the flight of the arrow negatively. This one shoots arrows with 310 fps according to the IBO speed rating (assuming 70 lbs, 30″ draw length and 350 grain arrows). For me, this is fast enough and as I won’t extra-strain my compound I wouldn’t go with lighter arrows to increase speed. But you could of course, if you would like to. The recommended weight for an arrow for this model is 5 grains per pound of draw weight. So you could use a little less than the recommended weight for arrows. But don’t overdo it! If the arrows are too light you could risk damage to this one. It would result in the same effect as if you would dry-fire it! 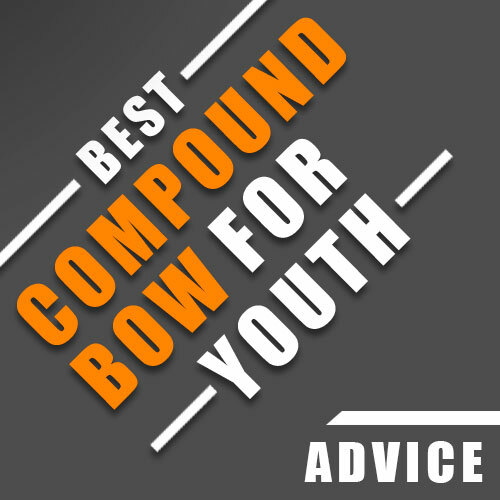 If you want to learn more about choosing arrows, please read my guide here => Choosing The Right Arrows For A Compound Bow. You could also use the Infinity Setting of the Infinite Edge Pro. Put the string to post ‘A’ and the cam in the infinite setting. The result is a faster model with no to little let-off – which makes it a bit harder to shoot. 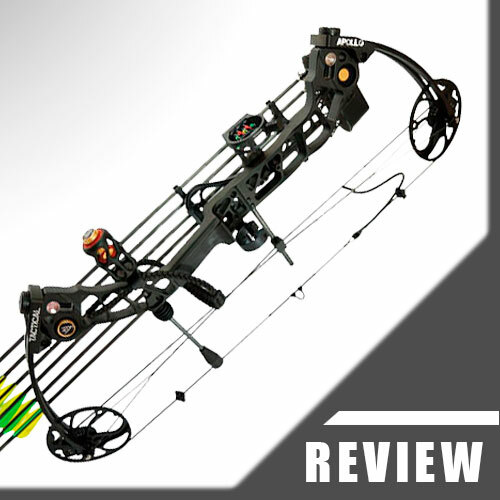 Is The Infinite Edge Pro Compound Bow Suitable For Hunting? With high settings, definitely yes! Kinetic Energy is the most important factor for hunting. When we take a look at Easton’s Kinetic Energy Recommendation Chart, we clearly see that with a setting of 70 lbs, 30″ draw length and 350 grain arrows (remember the IBO Speed rating specs) resulting in 310 fps the Infinite Edge Pro has a Kinetic Energy (KE) of 74.7 and therefore is capable of going for the toughest game with no problems. At least on paper. A beginner and even some experienced archers won’t reach these numbers ever, which is not a problem at all. An Infinite Edge Pro set at 60 lbs with 425 grain arrows (most hunters use those because of the higher impact) is still powerful enough to take down large game with no problems. When we lower the settings though, the Kinetic Energy drops accordingly. So with 30 lbs, 25″ draw length and 425 grain arrows we even cannot go for small game anymore. So please keep that in mind. If you want to learn more about Kinetic Energy, please read my article about it here => Kinetic Energy For Bowhunting. And check your states legal requirements concerning draw weight before going into the field! Every state has its own requirements, which can range between 30 and 60 lbs. Can You Bowfish With The Infinite Edge Pro Compound Bow? A clear yes from my side! Especially the Infinity Setting makes this compound great for bowfishing as it results in a zero let-off, so it will maintain most of its peak holding weight for the whole draw-circle, which is needed for bowfishing as you need to be able to shoot quickly. All you need to get is a bowfishing reel for the Infinity Edge Pro as this is not included in the package. 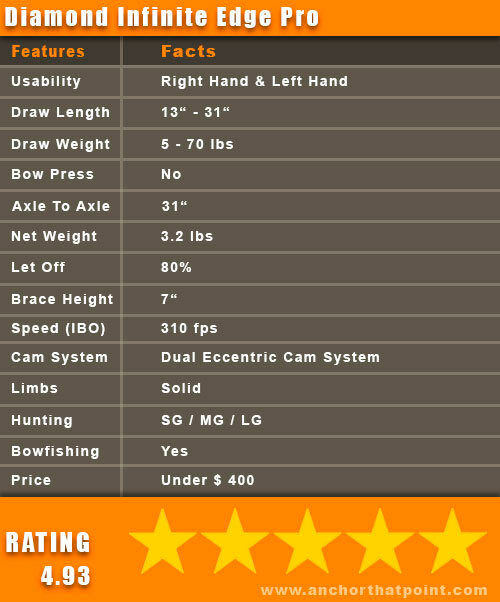 Maybe take a look at the AMS Bowfishing Reel. I recommend using heavier arrows for bowfishing for a better penetration of the water. One last tip: try aiming around 6 inches low for every foot under water the game is because of the deflection. At around 350 bucks you will get a high quality entry / intermediate level model that can grow along with you or your kids for years, because of its wide adjustability. There are of course cheaper ones out there like the SAS Rage or the Leader Accessories Hunting 50-70, but there are also more expensive ones available like the Apollo Tactical or the Bear Archery Cruzer. By the end of the day, you need to decide for yourself which model will fit your needs and your wallet best. But if you want a decent quality model with good accessories that will work right from the start for you, which means you won’t have to mess around with finding better ones to make it work, the Infinite Edge Pro is a very good option to take into account. 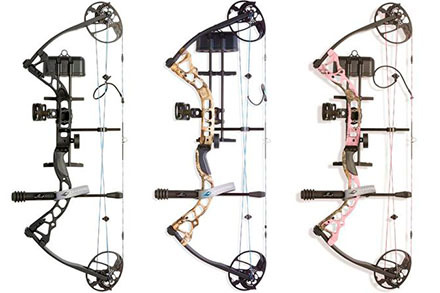 The Diamond Infinite Edge pro compound bow is one of the most versatile bows out there. It does not matter if you buy it for your 14 year old son, your 8 year old granddaughter or your 40 year old hunting buddy. It fits archers of all sizes and experience levels. 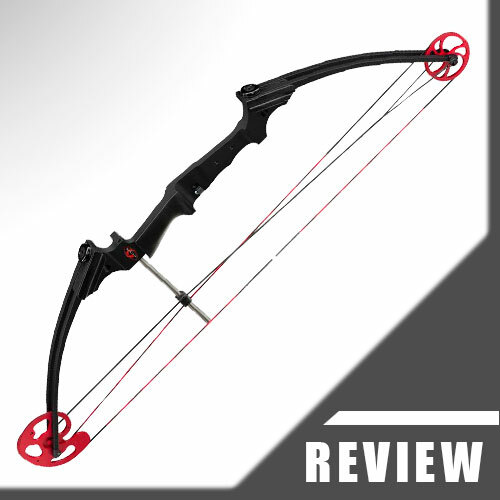 With its draw length from 13 to 31 inches and its adjustable draw weight from 5 to 70 pounds it is well suited for all kinds of activities, be it target shooting, bowhunting or bowfishing. With its Infinity setting the Infinite Edge Pro is also best suited for schools or courses, where it is important that a lot of different people can shoot it without loosing too much time while setting it up for everybody, which makes it a true multi-shooter. The price range is quite normal for an entry level compound. But in this case you get quite some bang for the buck. The speed is pretty good compared to other compounds in the same range and the versatility of the Infinite Edge Pro is just awesome. Sure, there are compounds that shoot arrows with 370 fps, but they cost a lot more than the Infinite Edge Pro. Especially if you are a beginner this one is for you. It draws smooth, is forgiving and at the same time very accurate. But even if you are an experienced bowhunter the Infinite Edge Pro could serve you well because of its extreme versatility. I loved shooting this compound and i think you cannot do much wrong when buying one. No 271/2 onch draw on a post setting all the reviewers on this bow are missing this because they dont pay attention. Also bow at beginning of article is upside down its hard to take this seriously with an error like that. Bow needs more refinement.